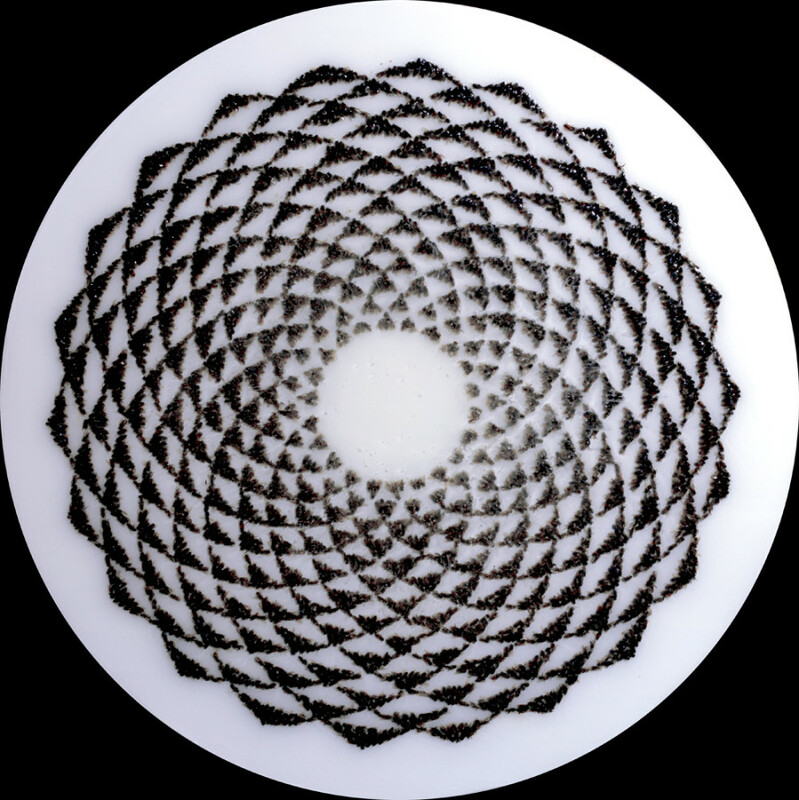 Sarah Hatton, an artist and a beekeeper, has combined her two loves to create an unlikely yet enchanting concoction; a hypnotic series of artworks made from -- you guessed it, maybe -- dead bees. Hatton gathered her unorthodox materials from her own hive, after having lost an entire colony to natural causes. 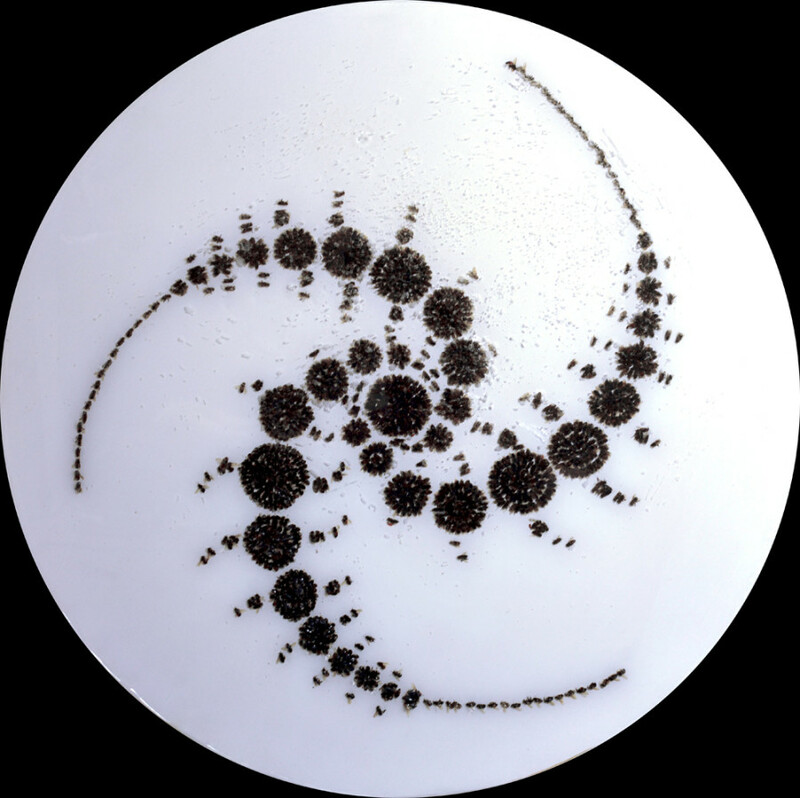 She coated the fuzzy corpses in epoxy resin, then organized them into mathematical patterns like the Fibonacci spiral -- found in a sunflower's seed pattern -- as well as ancient patterns that recently surfaced in crop circles. Hatton's works make for dizzying optical illusions, reminiscent of Bridget Riley's work if she'd dabbled in the buzzworthy materials of Matthew Brandt. 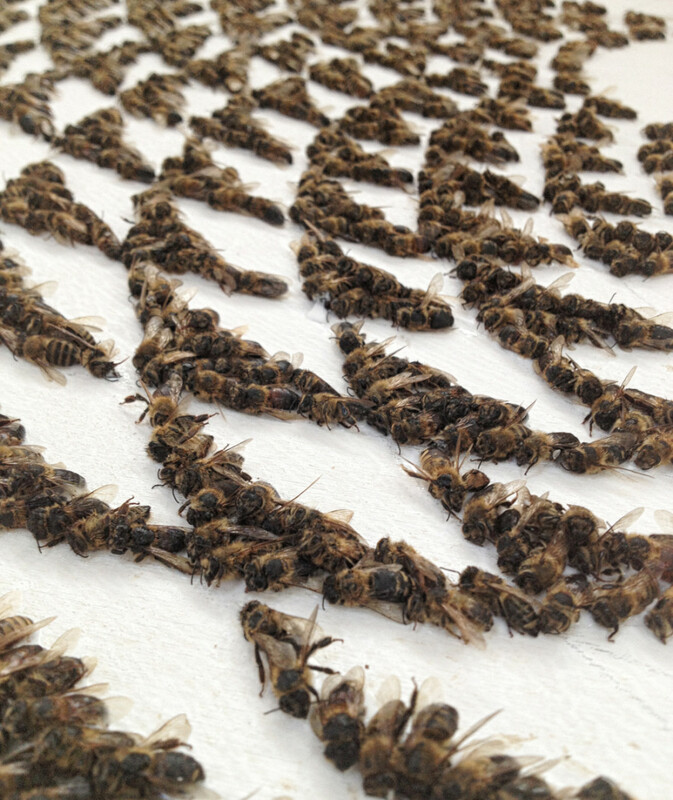 Yet Hatton's penchant for bees stems beyond the creatures' aesthetic and textural properties. 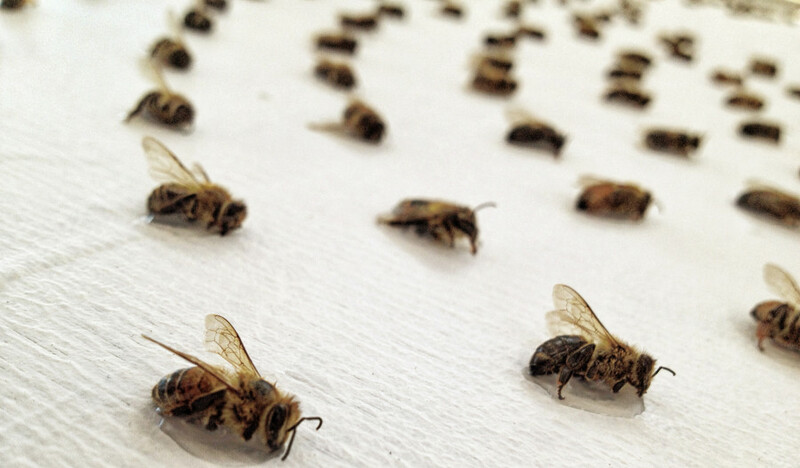 The artist's entire artistic endeavor aims to spread awareness of something called bee colony collapse disorder. 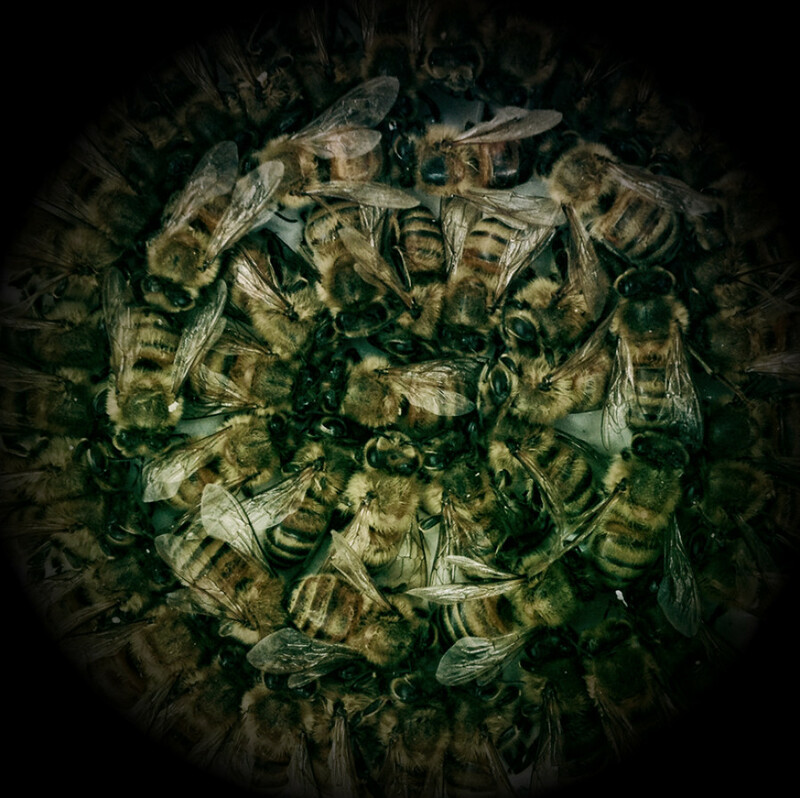 "Life often finds its way into one's art," Hatton explained to Wired U.K. "And I had long been thinking of an artistic way to talk about the global decline of bees." The tragic natural occurrence results from Neonicotinoid pesticides, which are often used in monocrop cultures and destroy bees' ability to navigate themselves. 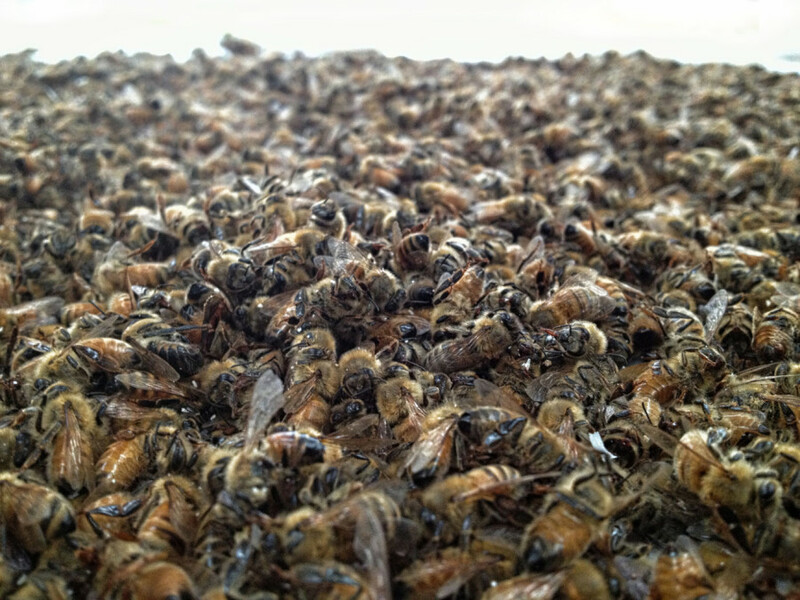 The hallucinatory feel of the works mimics the discombobulation bees experience as a result of the pesticides. "The viewer experiences the vertigo of this lifeless swarm, a dizzying optical illusion that echoes the bees’ loss of their ability to navigate due to the toxins locked within the very source of their sustenance," Hatton wrote to The Huffington Post. 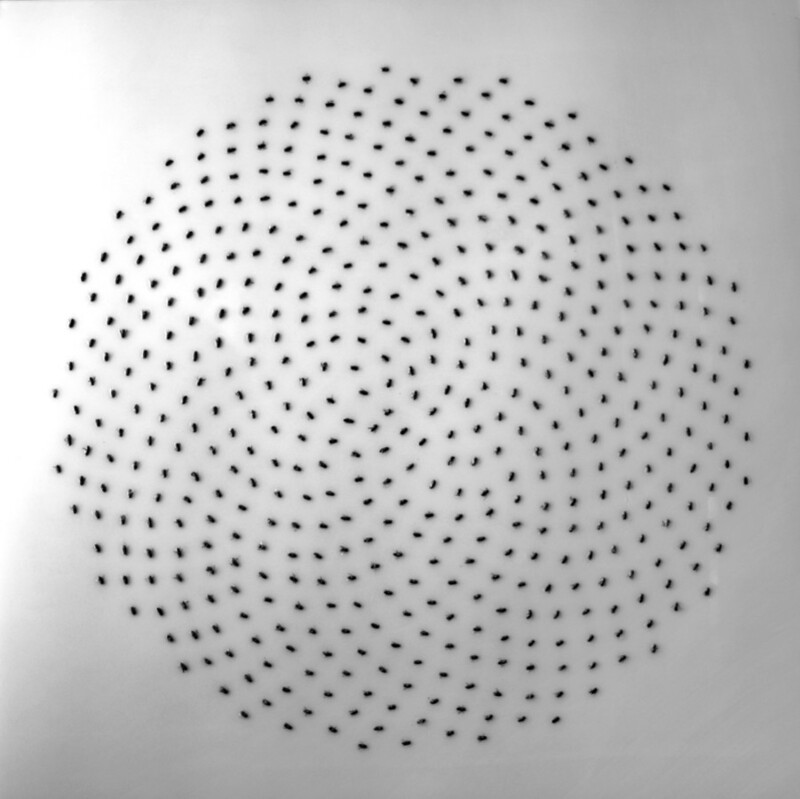 The particular patterns Hatton chose symbolize the agricultural methods responsible for bee decline, bringing the entire series full circle. See a preview of the series below and let us know your thoughts in the comments.